I am one of the team involved in the operation of the 15" gauge Rhyl Miniature Railway and this is reflected in my railway modelling. My layout is based on the railways built by the famous model railway engineering company Bassett Lowke and is set in the present day. 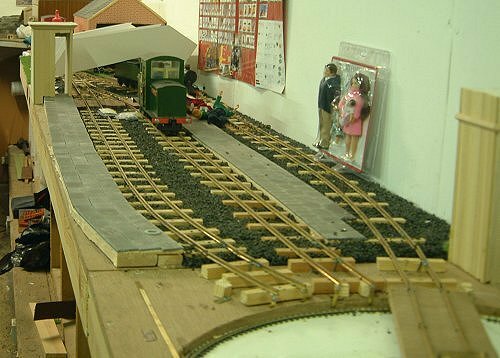 The layout is 27' long, starting at the station, then past the 2 road engine shed and then across two scenic sections to the fiddle yard. 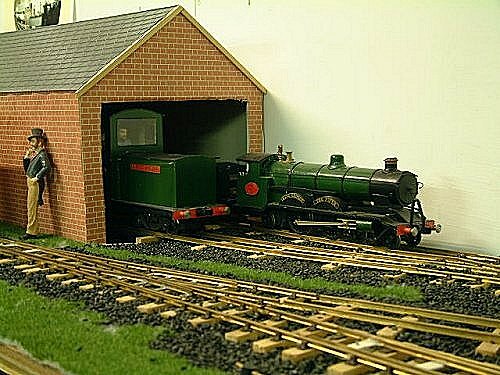 The fiddle yard, in real life would be a balloon loop but try finding the space for this in one twelth scale! The steam locomotive has been based on a real prototype, "King George the fifth" is an enlarged Class 10. My diesel "Valeof Clwyd/Dyffryn Clwyd is a freelance interpretation and uses a Lima chassis. The basis of the 4-4-2 steam loco is a GCR Jersey Lily while the tender is from a Southern Railway S15. 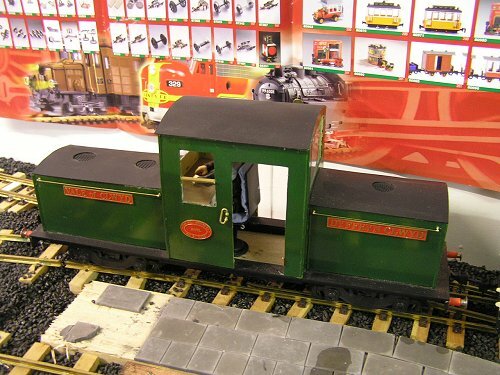 The coaches are models of the 4 wheelers built by Bassett Lowke. There is also a set of bogie coaches built to my own design. A third loco is under construction with similarities to "King George the Fifth".